SA’s long awaited SA SME Fund will invest just over R1-billion or 75% of its R1.4-billion in funds in black-owned small and medium-sized enterprises, including tech startups — the fund’s CEO Ketso Gordhan has revealed. 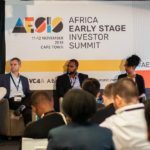 The fund, which is capitalised by 48 JSE-listed companies was announced by President Cyril Ramaphosa over two years ago when he was then deputy president — but excluding about five backdated VC deals (most of which came about before the fund invested in a fund managed by VC fund Knife Capital last month), it has technically not yet begun lending to small businesses. Speaking to Ventureburn on Monday (19 November), the former PPC Cement head — who took over as the fund’s CEO in August from former head Quinton Dicks — admitted that the fund’s new mandate set by the board would be a “tough” one to meet, particularly the board’s plan to lend 50% of the SA SME Funds’ capital to black African entrepreneurs. The remaining half of the fund would be split between white-owned firms and those run by black entrepreneurs from other racial groups (Indian, coloured and Chinese South Africans). Gordhan added this would likely make meeting the fund’s targets, even harder than current existing state funds such as the National Empowerment Fund (NEF) and Industrial Development Corporation (IDC), both of which aim to fund largely black-empowered and black-owned firms. “The argument of 50% (of investments to black African owned firms) came from the board. We’re addressing something that is fundamental in the country,” he said. He was quick to add that while this meant that the fund is looking to drive a transformation agenda, it would still be commercially driven. “We have targeted returns for each of these things — none of this will be grants,” he added. In addition, the new mandate requires the fund to invest one third of its capital in early-stage businesses, one third into growing businesses and another third into social-impact businesses (which Gordhan added would typically be firms based in the township). On Monday, Gordhan pointed out that R20-million of the fund’s capital had already been invested in venture capital (VC) firm Knife Capital’s R100-million growth equity fund KNF Ventures. The fund is being run as a Section 12J Fund under the Income Tax Act. Knife Capital partner Keet Van Zyl confirmed yesterday that the investment from the SA SME Fund had gone into KNF Ventures last month. Thus far five deals had been made, he said. The five deals are: cloud-based ticketing platform Quicket, machine learning startup DataProphet, e-Learning platform SkillUp, Internet of Things (IoT) temperature monitoring solution PharmaScout and a fifth transaction that was concluded on Monday (19 November) and which has not yet been announced to the public yet (see the below tweet from Van Zyl on Monday). There are plans to increase the Knife Capital fund to between R150-million and R180-million, in which case the SA SME Fund would put forth an additional R10-million (Section 12J rules don’t permit any one shareholder to have a stake higher than 20% in a Section 12J fund. 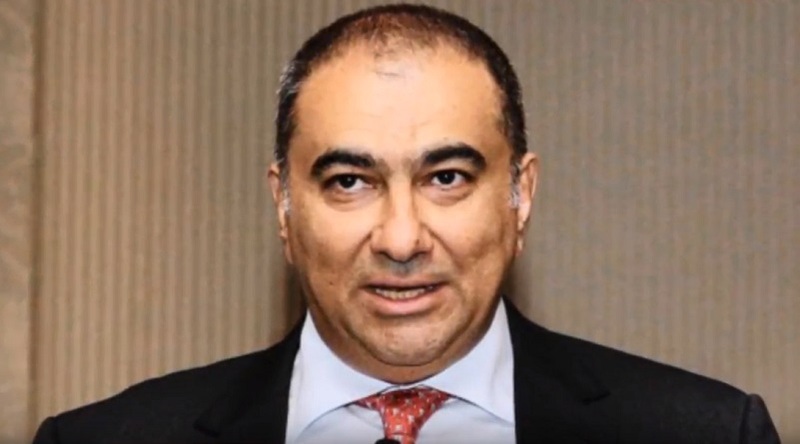 An investment of R125-million to capitalise a venture fund run by Edge Growth, which Gordhan added intended to make five deals, all of which are “basically” ready for the fund to invest in. A move to incubate a woman-managed investment fund that offers growth capital to existing businesses. Gordhan pointed out that his six-man team is also looking into the possibility of setting up a biotech incubator as well as a turnaround fund for ailing businesses. “We want to be catalytic, interesting and entrepreneurial in our approach,” he added. Yet Gordhan was candid on the expected impact that the fund would have. The original mandate under Dicks was for the fund to invest no more than 20% of the funds collected by each accredited fund manager. Like this in September last year Dicks estimated the R1.4-billion size of the fund could help inject about R7-billion to R10-billion into fast growing mid-sized firms. But the board’s new mandate has done away with the requirement that it will only commit 20% of the funds that each accredited fund manager raises. Instead in some cases it plans to commit the entire capital of accredited funds. It means that the fund is now likely to only be able to gear the R1.4-billion just two or three times — injecting a significantly smaller amount, of R2.8-billion or so into the economy. But Gordhan stresses that it won’t mean that the fund will in many cases be the only party that commits capital to funds, pointing out that the fund will “make it easy” for other private-sector players to make contributions in accredited funds. Gordhan is also confident that the investments will flow quickly now, having ensured that the necessary legal work and due diligence for each investment into a business, is made in parallel, to speed things up. This will reduce the time it takes to invest by about six to eight weeks (the time it can take to conclude legal work), he estimates. He said he expects 75% of the total capital of R1.4-billion to be deployed by the accredited funds in small businesses by the end of the first quarter next year. Gordhan acknowledges that while there have been delays he is eager to see the money deployed as soon as possible. “We have a sense of urgency of getting this fund off the ground”. Business owners — particularly black entrepreneurs — will be eagerly waiting with bated breath. Editor’s note: In June Ventureburn editor Stephen Timm promised Discovery’s Lisa Klein that he would crack open a bottle of champagne — and photograph this and carry this as a story — upon receiving the announcement of the SA SME Fund’s first deal. Ventureburn is getting the ice ready — Knife Capital’s yet to be announced new deal looks likely to be the first that the SA SME Fund is involved with (we don’t like to count retrospective investments).